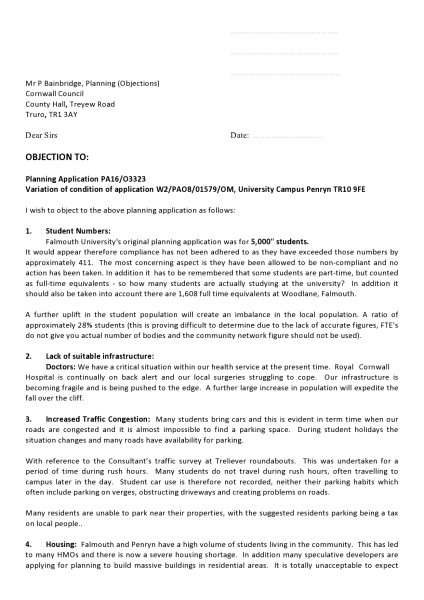 We have some template letters of objection which you may wish to download. They can easily be adapted to reflect your own views. Please include your own name and address, the date at the front. Also a personal comment and signature at the end. Quote the planning application reference number in the subject. There are now a few planning applications which have been submitted for appeal to the Department for Communities and Local Government, The Planning Inspectorate in Bristol. We have a website page which shows you the process, Click here. Alternatively you can post your letter to the address given on the templates.